Materials: Chromed metal (iron) round base. Chrome globe, chromed plastic. 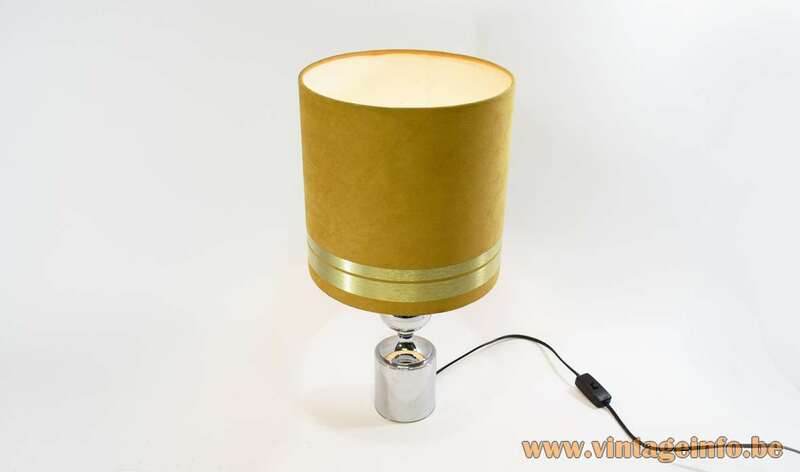 Velours lampshade with 2 gold coloured aluminium rings. Designer: To be appraised, after a design by Philippe Barbier. Other versions: Also made in brass and some variations. Also made in a larger size. Produced for several years, from the 1970s until the early 1980s. 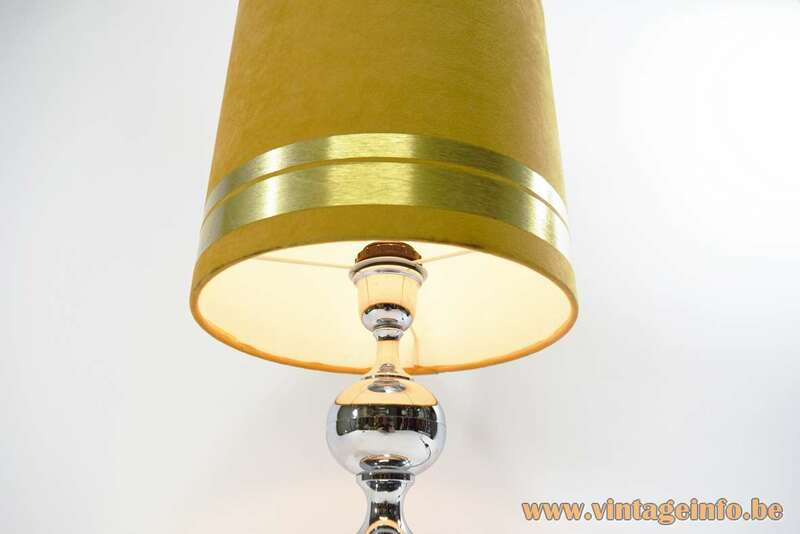 The brass version can be found here on Vintageinfo. Label on the bottom: Mass. Max. 60W. (Massimo Maximum 60 Watt). Massimo is the Italian word for maximum. Max. is used for every other language in Europe were Massive sold lights at that time. At Massive they were economical with the labels, they started using labels when the government had compelled them to do so. 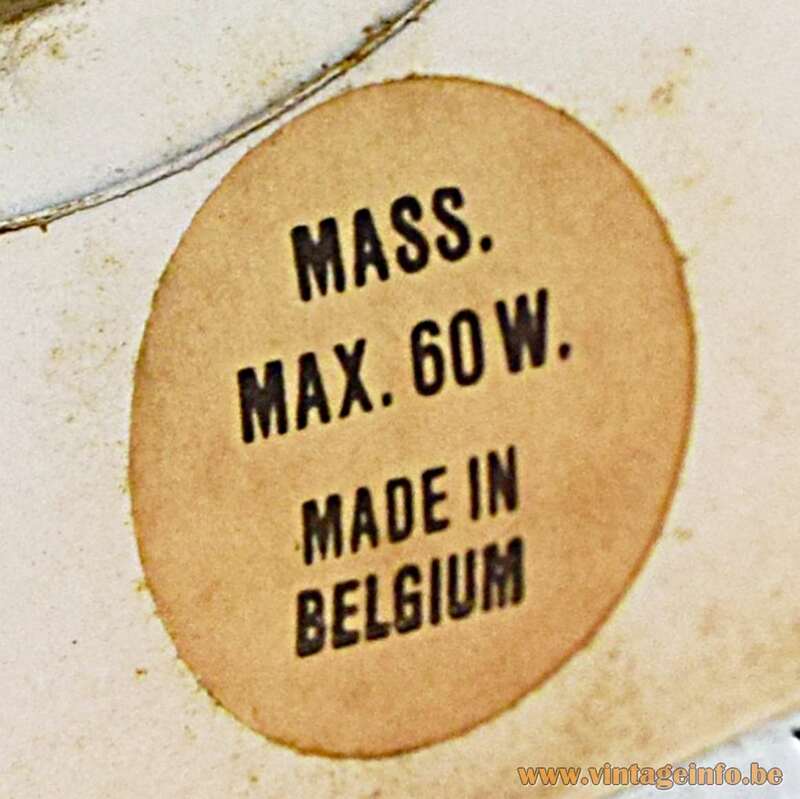 The first labels that became mandatory in Europe (EEC) were stickers that stated the maximum power of the light bulbs to be used. Later on Massive used the same round labels with the same font that says: Mass. Max. 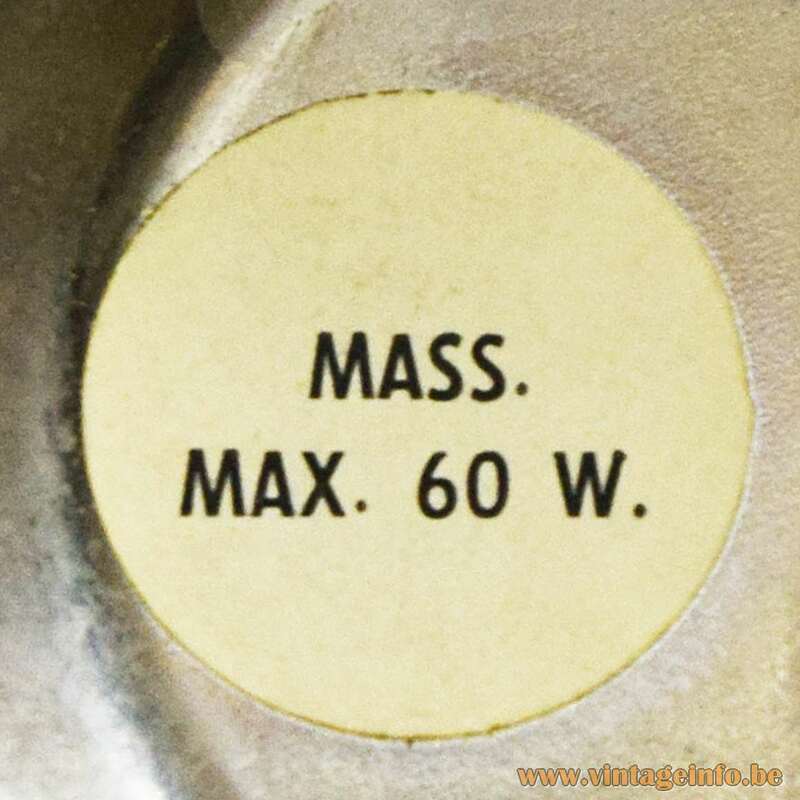 60W., Made In Belgium and also a label exists with Massive Mass. Max. 60W. 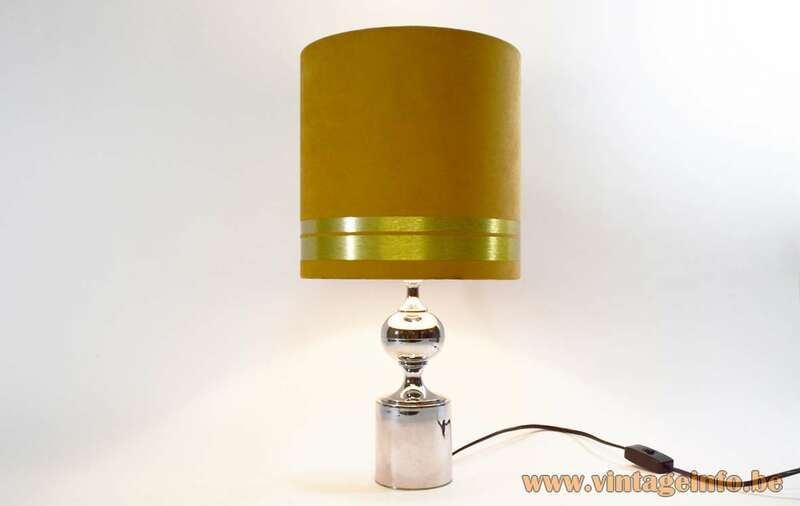 This type of table lamps became popular in the 1960s. 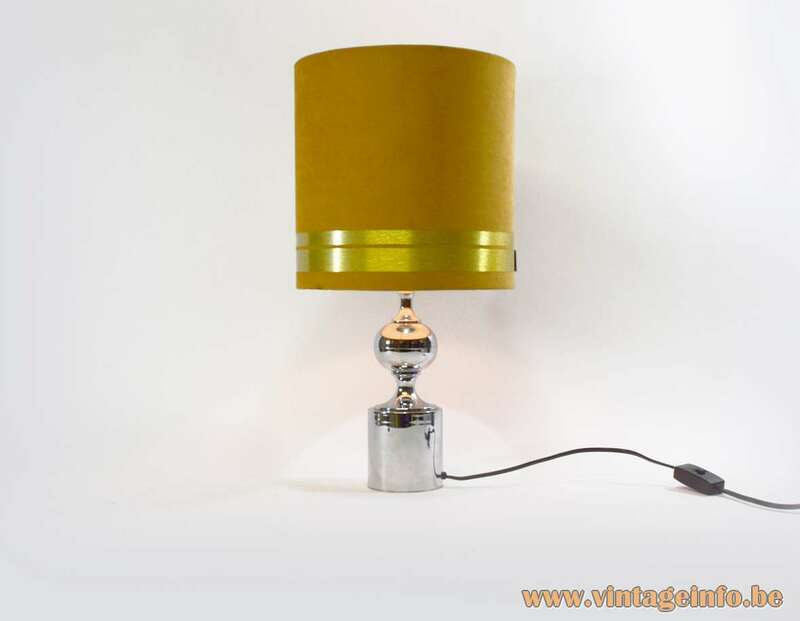 They are made by many companies, but they all originate from designs by Philippe Barbier. Philippe Barbier was a well-known French designer. He was the first to distribute the famous stool “Tam-Tam” designed by Henry Massonnet (1922-2005), which he helped to develop. The chair is still in production. 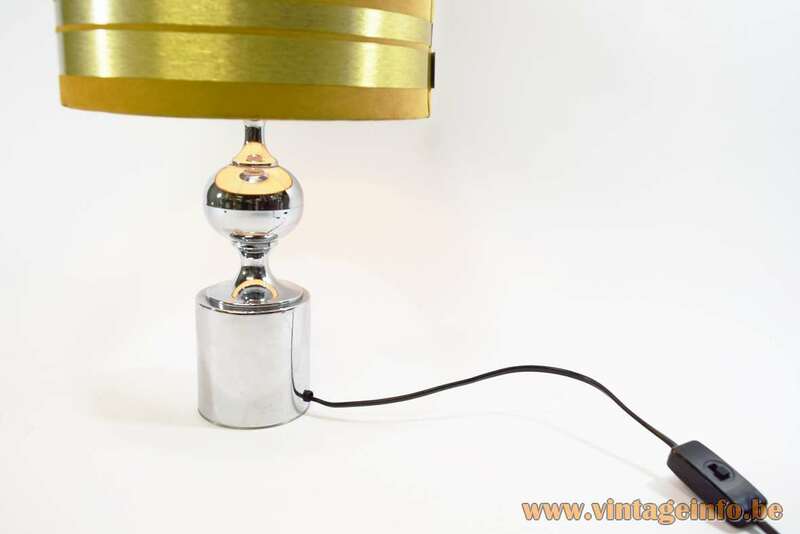 All the electric parts of this lamp were made by VLM Components from Buccinasco, near Milan in Italy. The company is famous for the switches designed by Achille Castiglioni. 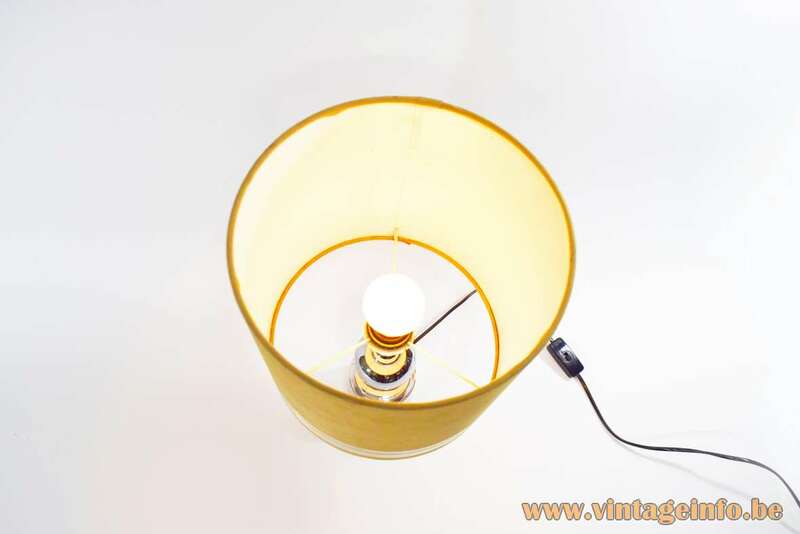 The switch on this lamp is based on the Castiglioni design and was produced from the late 1970s until the early 1980s.